Maltahohe hotels, accommodation and places to stay. 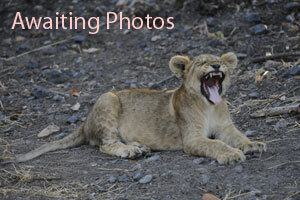 Guide to where to visit and where to stay in Maltahohe Namibia. 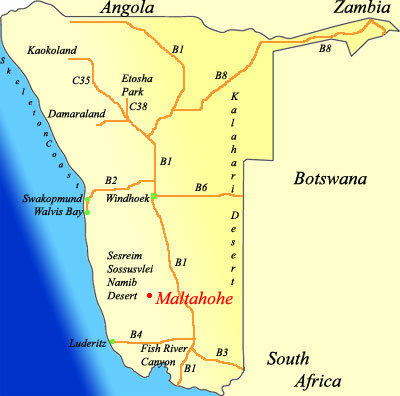 Information on Maltahohe Namibia, location of hotels, lodges, camp sites, guest houses, bed and breakfasts and places to stay in the Maltahohe area of Namibia. Distances from major attractions to Maltahohe and information about shops, fuel and facilities. Built by the German Baron von Wolf for his American bride Jayta, this imposing castle situated 72km south-west of Maltahohe dates back to 1908-9 and offers the visitor a glimpse of German colonial times. 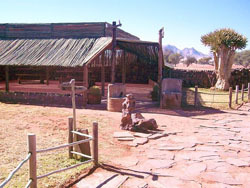 Situated on the edge of the beautiful Namib Desert, this is your perfect stop over on your way to Sossusvlei, Luderitz or Fish River Canyon. The main attraction in the area is the Castle. 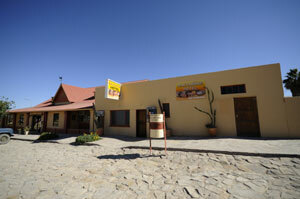 Situated on the crossing of the C27 and D826, Betta Campsite is a well known gem in the glorious Namib Desert. 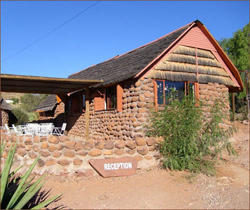 Featuring Camping and Chalets (Catered and Self Catering options available), as well as a Filling Station and Kiosk nearby, it's the true Namibian Experience. 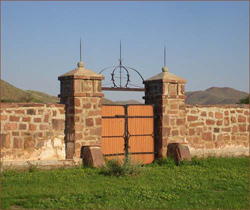 Burgsdorf Guest Farm is situated 25 kilometers south of Maltahöhe and easy to reach via the C14. 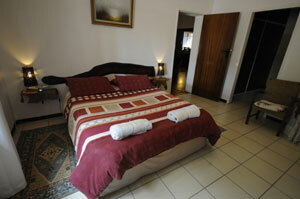 Burgsdorf offers 9 rooms all with en-suite bathrooms and toilet, also suitable for families. Enjoy excellent cuisine with homemade local specialties. 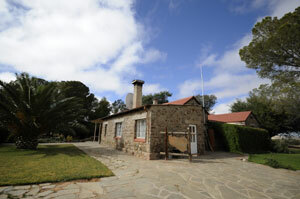 Burgsdorf offers a swimming pool, beautiful hiking trails, sundowners on the Schwartrand Plateau and game drives on the farm.